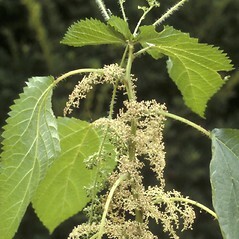 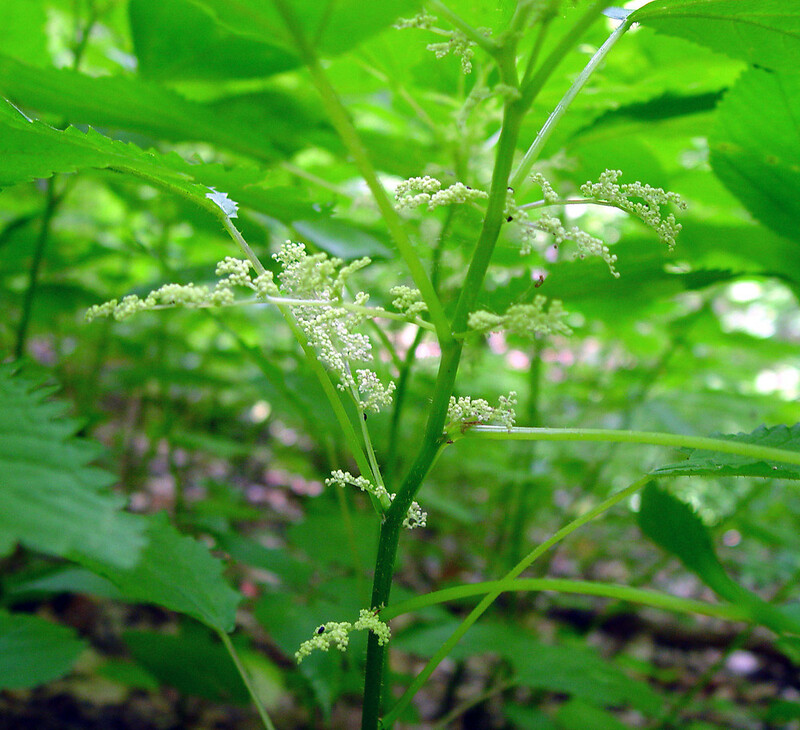 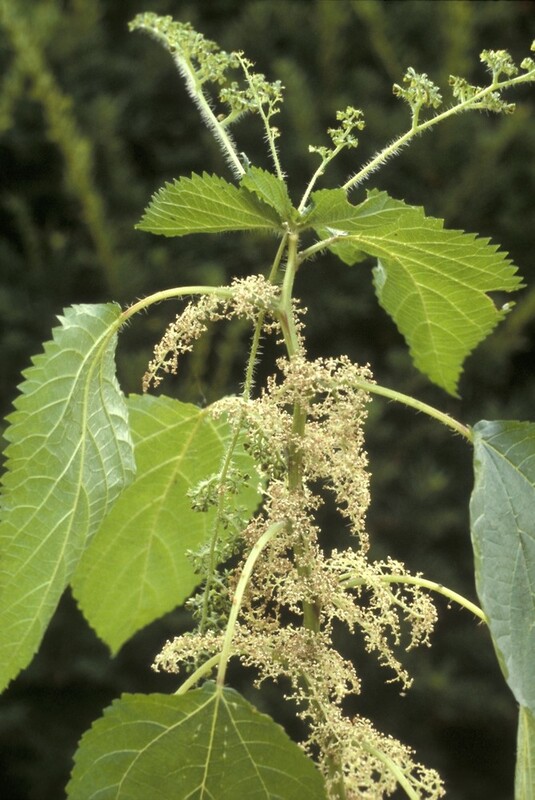 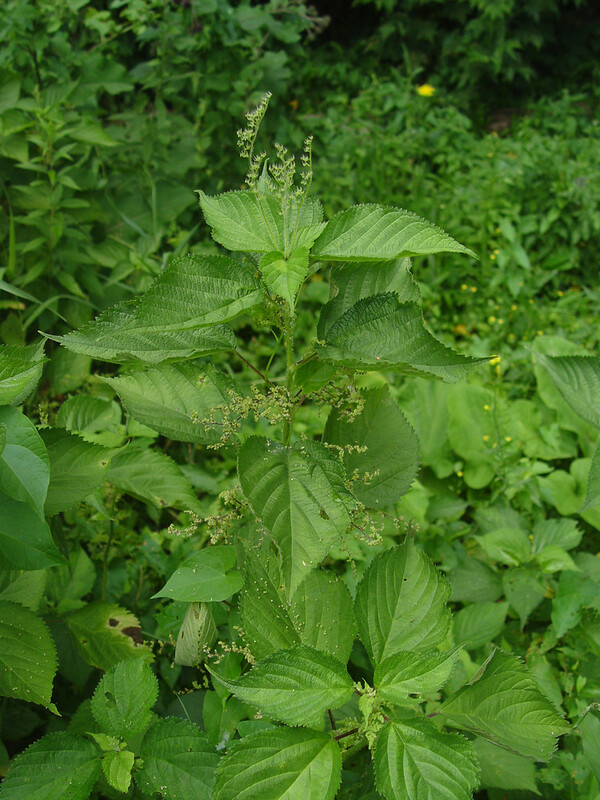 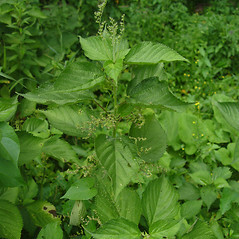 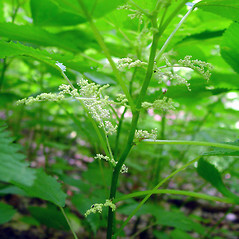 Canada wood-nettle is a native species, unlike the rather similar stinging nettle (Urica dioica). 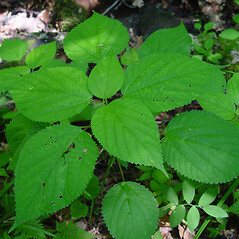 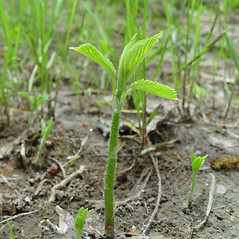 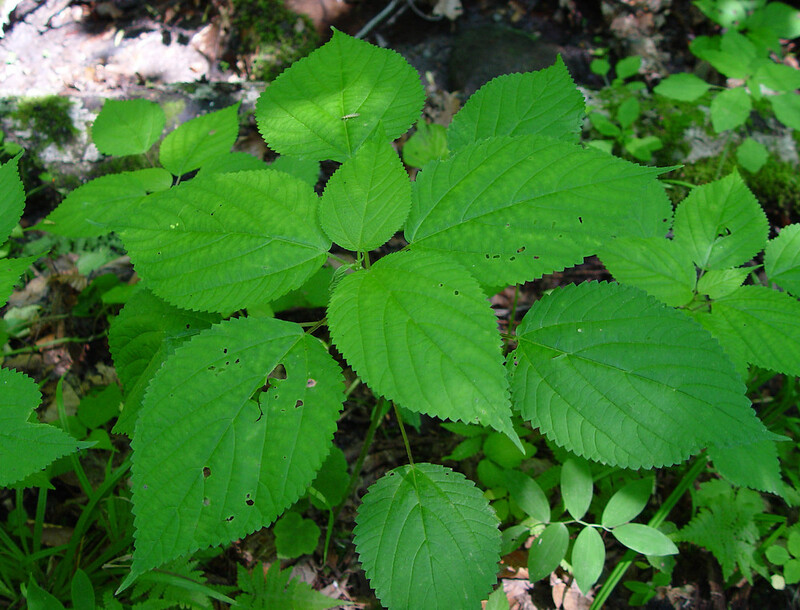 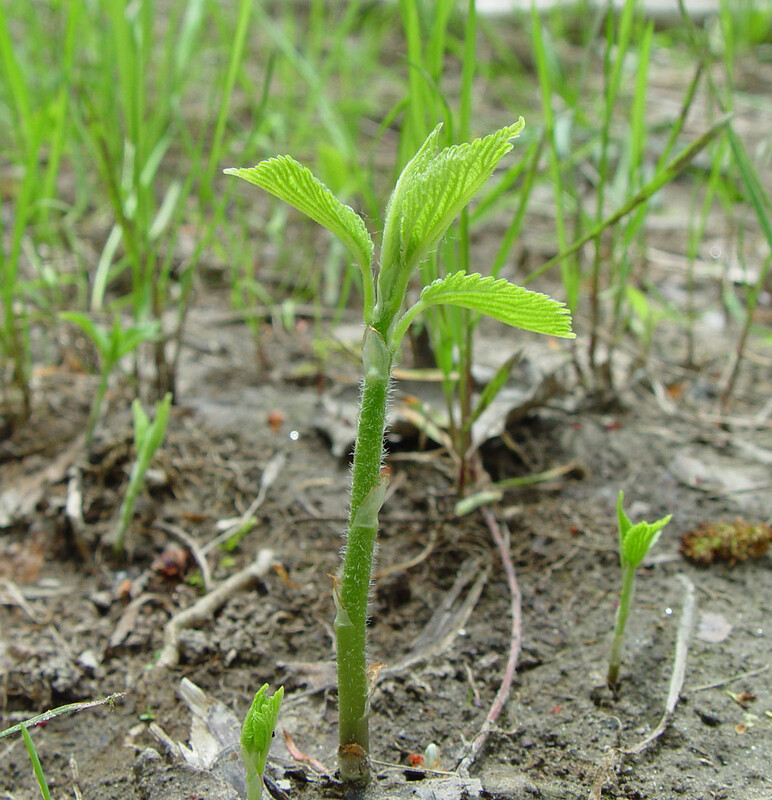 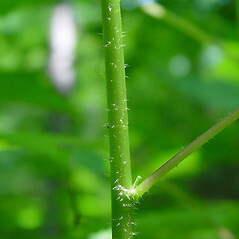 But Canada wood-nettle has alternate leaves while stinging nettle's leaves are opposite. 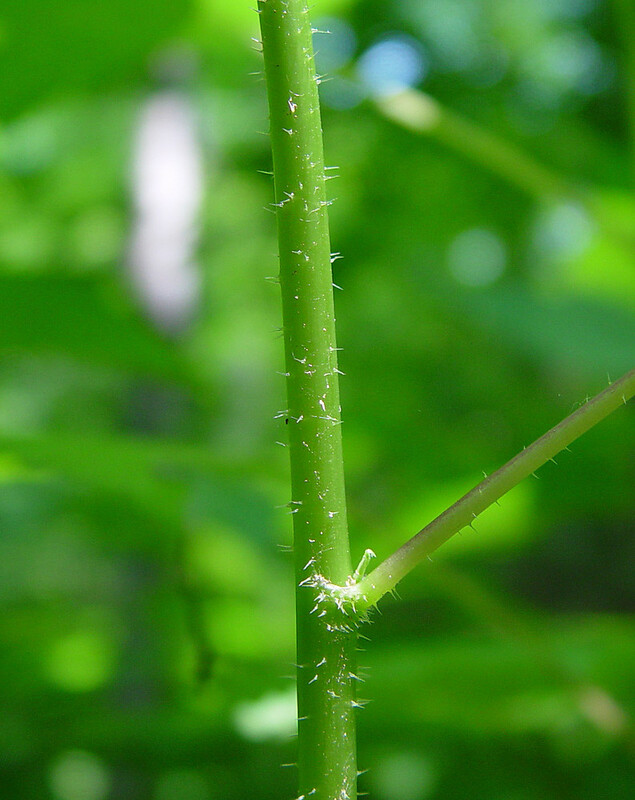 But like stinging nettle, wood-nettle packs an uncomfortable sting. 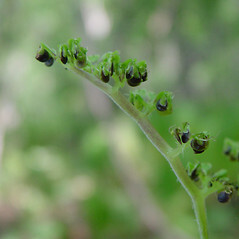 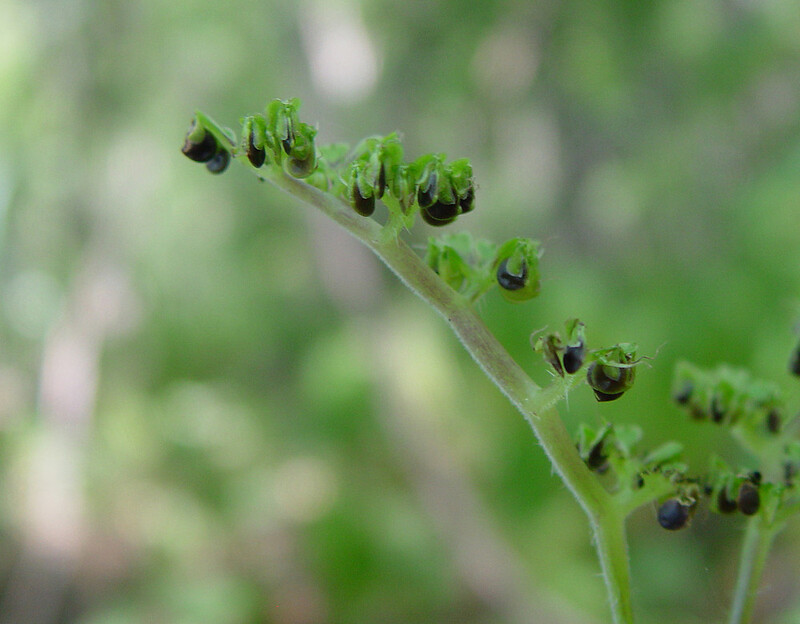 leaves opposite and seed-like fruit mostly 1-1.3 mm long (vs. L. canadensis, with leaves alternate and seed-like fruit mostly 2-3 mm long). 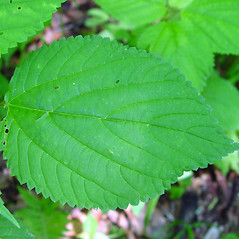 Canada wood-nettle. 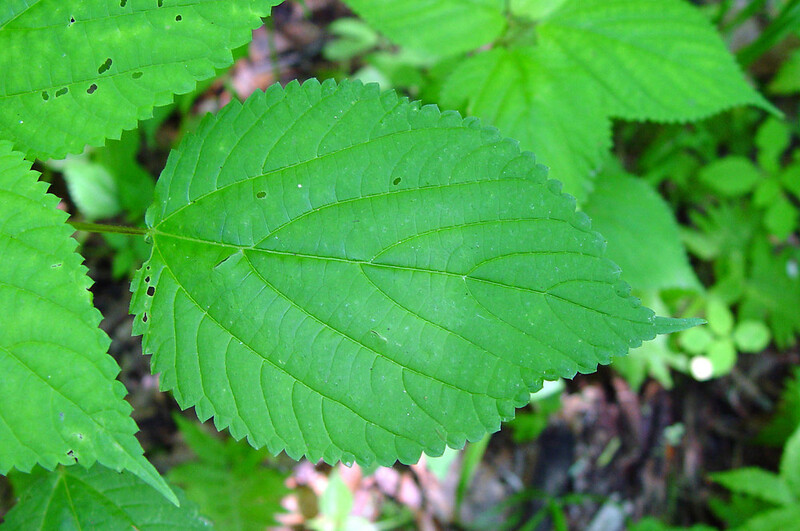 Urtica canadensis L.; Urticastrum divaricatum (L.) Kuntze • CT, MA, ME, NH, RI, VT. Rich, mesic forests, riparian forests.